Saw these pictures as I was scrolling through old ones and forgot that I didn't share them. 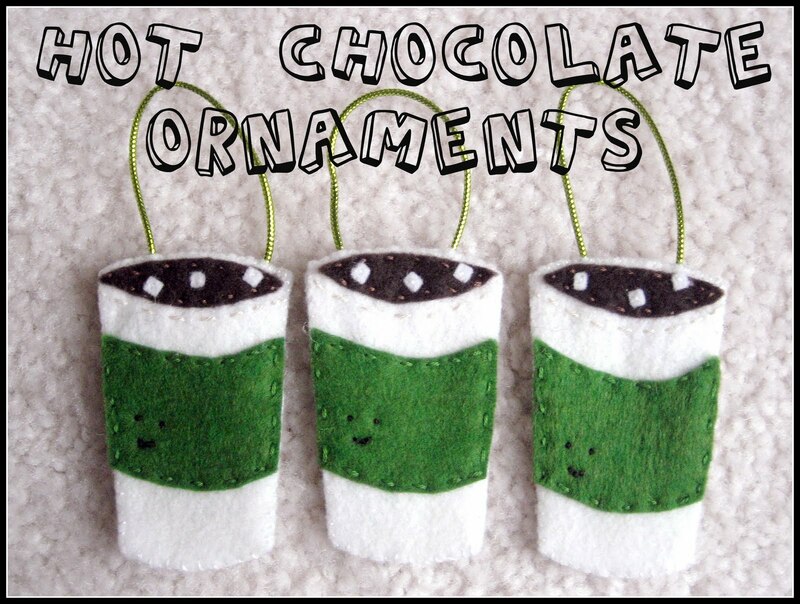 I made these little ornaments for a few of the wonderful ladies at Vaughn's school and paired each with a gift card to Starbucks. These little hearts were made to remind my niece and nephew of how much we love them as they traveled to their new, far away home. I really enjoy making things out of felt. I think I may make some hair clippies for Vaughn today. What to make though? Raise your hand if you're tired of seeing cupcakes and owls! A few months ago I made some sushi roll barrettes, but they didn't quite turn out how I expected. Kind of like a new take on "Food in Your Hair". I need something new, any ideas? Love it and the traveling hearts are my favorite!!!! So cute! You could make butterflies or little princess crowns for barrettes. I am sure Vaughn would love that. 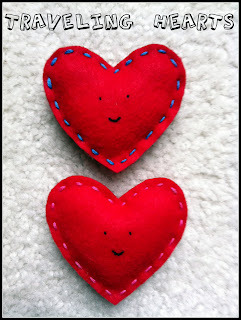 You could make little heart barrettes for Valentines Day. I am terrible at being creative, sorry! Martha, sounds interesting! Thanks guys!